2018-2019 School Uniform & Supply Lists are Here! Help us in collecting BoxTops for Education and meeting our fundraising goal this school year! Just clip and send your BoxTops to the front office. Melrose is a "Class Dojo School"! As an additional measure to stay connected and communicate scholars' learning success, parents and guardians can see "to-the-minute" reports of participation, organized teamming, leadership behavior, and more. You get to see (data points awarded, pictures, and or video) what your child is learning and how they are growing. This access oportunity is accessible by mobile device, tablet/ipad, and computer. 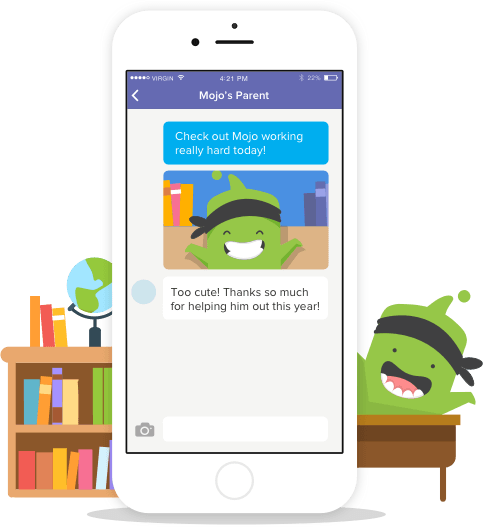 Contact your child's teacher to find out how you can connect with us via ClassDojo. Proactive Engagement = Positive Choices to Create Positive Results! "The Best Thing I Ever Did Was Believe In M.E."